Most people in business and web design have been discussing SEO and the benefits it brings to a company. Unfortunately, there are a few people who still think that it has no impact. The best part is that SEO professionals have made clear the benefits that can be gained from enhancing SEO for their business websites. Any reputable digital agency expert will agree that SEO is the only way a business will survive the strong competition in marketing. To understand how this concept is important to your business, some research will be important. In addition to revealing the benefits, detailed research will also show how to go about enhancing SEO so as to get the full benefits. The ability to maximize business potential in a dynamic market segment can never be gained by an organization that has pushed SEO aside. In fact, digital marketing experts must always stay close to the business to make things work as needed. To remain competitive through digital marketing and particularly SEO, this article will take you through the subject in a comprehensive manner. Before we understand the importance of the concept in promoting the success of a business, let us learn a few things about SEO. Search engine optimization, as it is known in full, is the ability to enhance the organic search for a website through keyword enhancement, superior content and attractive media with the aim of increasing traffic to the website. Reputable search engines like Google have various guidelines about what criteria they use to rank your website higher. What most people do understand is that the algorithms used are real, and they work. The websites that follow them religiously get to enjoy the full benefits of SEO enhancement. Even though it may sound like a lot of work, letting it flow organically is the best method. While there is nothing mystical about the concept, SEO is the strategy that every business website is striving to attain. At the basic level, Google, which is the most popular search engine, has numerous and complicated algorithms that measure the right position where a website should rank. Further, Google checks the traffic that is flowing into the website and adds it to the ranking algorithms. Now that we understand how the SEO concept works, it is time to know how it helps businesses to succeed. Any entrepreneur is busy looking for a way to take her or his business to the next level. Success is measured by different factors, and one of them is how well a business is performing online. Being on the right side of a search engine is a big plus for any organization. This means that people will find your website with ease and quickly have a bond with your brand especially if the product is superior. Search engines allow any business to cross borders and easily obtain international recognition. This is because people are continuously looking for information online and will not mind buying from any part of the world as long as the products and services are compelling. To increase your online opportunities, SEO is the only option that you have. We all know that brand reputation increases for those businesses that are always visible online. People will trust a brand that ranks on top of the search engine results. They believe that this search result is what all other people are considering to be best. It is a no-brainer that when more potential clients visit a business website, they increase the chances of making a sale. The owner is one step closer to having a successful sale when the website traffic starts to grow. SEO is the best way to increase the visibility of a product or service and present your compelling reasons why people should buy it. According to many studies, the conversion rates of websites with enhanced SEO are higher than those of websites that do not make any efforts. 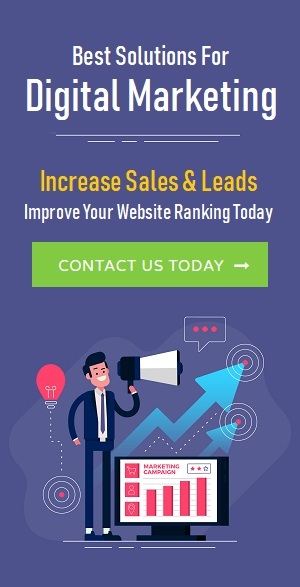 Therefore, the marketing team must, by all means, work hard to meet all the requirement that promote SEO if the business is going to make any profits. Gone are the days when people had to pay for print and broadcast media for marketing purposes. Web marketing strategies have continued to save a lot of money for companies. All experts agree that digital marketing strategies are both cost savers and effective for all companies. 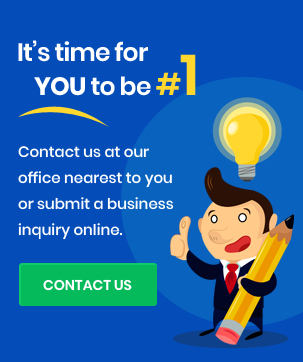 When it comes to SEO enhancement, professional research shows that a business person can do it without involving experts if she or he has an idea of how to go about it. Basically, people must have the skills to write compelling organic content and to update their websites on a regular basis. The content may be descriptive about the products and services they sell or used as tips and guidelines for people seeking their services. It is during the processing of this information that a person will input the keyword related to their topics, enhance the SEO settings and add attractive media. Both the images and videos must be appealing to the web users to give Google a reason to rank the website higher. All these steps can be completed by the website owner. However, the process still remains less costly than print and broadcast advertisements even when performed by the experts. Due to the increased use of mobile phones to browse the web, all entrepreneur and web marketing experts are looking forward to taking advantage of this trend to tap into their market segment. Innovators have come up with the best ways to make websites more mobile friendly to attract traffic to websites. SEO experts can further enhance websites so that mobile phone users can find them with ease. Websites that are mobile friendly are likely to receive higher traffic if they are visible in search engine results in the first place. This is why SEO is an important factor in increasing the success of a business. It works equally well on mobile-friendly websites as it does on desktop-friendly websites. Since mobile devices are now the trend, then this option becomes very valid. A wise business person is the one who keeps track of how competitors are performing and what they are doing to stay in business. One of the best ways is to check their ranking in search engine results and also to conduct a keyword check on their website. This way, one is in a position to know what to do to outshine them. Competitors can be a big threat to any business especially if one is in the dark about them. SEO is the strategy that ensures that a person can see competitors and understand how deep they have penetrated into the market. Marketing any business product and service using a digital platform is now the big thing. If one takes enough time to plan and execute an SEO strategy, the business will reap numerous benefits that we have listed above. Most importantly, it will continue to grow and succeed. SEO is a strategy that has continued to fulfill the desire to succeed of many businesses today. Your business too can be included in this list of successful businesses.